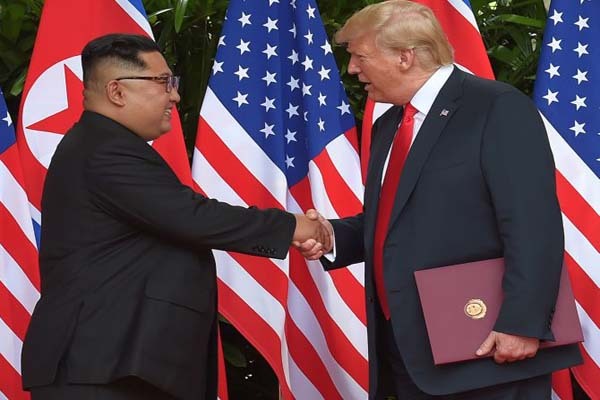 Singapore(PTI): Donald Trump and Kim Jong-un signed a “very comprehensive” document after their historic summit today, with the US president saying that the process of denuclearisation on the Korean peninsula will begin “very soon” and the North Korean leader promising to leave the past behind. Earlier, the summit began with the two leaders meeting at the luxurious hotel. “There will be challenges ahead but we will work with Trump. We overcame all kinds of skepticism and speculations about this summit and I believe that this is good for the peace,” Kim said.